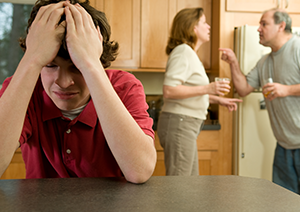 At Diron Rutty, we understand that the divorce process can be stressful and even traumatic for all of the parties involved (particularly children). A divorce not only affects you and your family emotionally, but financially as well. That is why we take the time to skillfully and delicately handle your case and work with you to create a plan that can ultimately lead to a better financial and emotional outcome. A divorce involves more than the termination of a marriage. At Diron Rutty, our divorce attorneys will provide you with legal representation for divorce-related family law matters, such as property settlements, child custody, child support, visitation, spousal support, marital property division, and bankruptcy if necessary. Our attorneys offer an “unbundled legal service” for self-represented parties in New York state uncontested divorce matters. We offer legal forms bundled with legal advice for an affordable, fixed fee. This is an innovative approach to getting a New York divorce at the lowest possible cost. To initiate a divorce, one spouse will file a summons and complaint for divorce, and then both spouses will come to an agreement that divides any property or responsibilities, including the custody of any children. Before filing for divorce, it is important to decide exactly what you want out of the divorce and include it in your complaint. Courts prefer couples work out these issues themselves. An agreement that is considered fair to you, your spouse, and any children, will likely be respected by the court. Our office offers a new way to obtain legal services when filing a New York uncontested divorce. 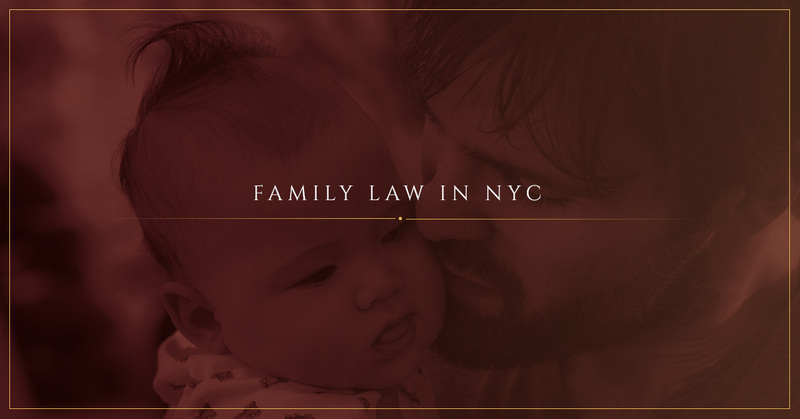 We focus on preparing your legal documents for a New York State uncontested divorce and other family law matters, thus allowing you to file your documents personally as well as dramatically lower your legal fees. By clicking on the legal document, you can begin using our online questionnaires. You have the ability to save your answers, register to become a client of our firm, and purchase from a list of available services. Upon payment and submission, our law office prepares your documents, makes the necessary changes so that your package is completed correctly, notifies you when your documents are ready, and provides you with additional legal advice and instructions. If you are in need of a divorce lawyer in the Bronx, New York City, or Poughkeepsie, or if you need legal assistance regarding divorce, legal separation, domestic abuse, modification or enforcement of support orders, contact our family lawyer to schedule a consultation. A divorce involves more than the termination of a marriage, and even if the parties can agree on the grounds, they may still be unable to resolve some of their issues through negotiation. Unfortunately, some matters must be litigated. Although litigation can be costly, sometimes the other party leaves you no other option. In most cases, a divorce attorney will continue to negotiate and sometimes those negotiations lead to a settlement short of going to court. Once the answer is filed, the case is ready for the court. New York courts require the filing of a special document known as a Request for Judicial Intervention. Once the court is assigned to your case, a Preliminary Conference (also called a PC) date is ordered. The judge will first determine if the parties can agree as to grounds for divorce and if not, an immediate trial on the “grounds” is often ordered. During this time, the party seeking the divorce must prove his or her right to a divorce at a trial. At the preliminary conference, the attorneys for the parties will discuss with the judge the issues of the divorce. These may include equitable distribution, spousal support, custody, child support or visitation. If the parties are able to agree about any of these issues, each agreed upon issue will be noted as resolved. The divorce will thereafter focus on the unresolved issues. If child custody is disputed, the judge at the preliminary conference may appoint a child custody lawyer to represent each child. The judge may also order that a forensic mental health professional be appointed. The judge may rely upon the report of the forensic mental health professional to make his or her decision regarding custody and visitation. At the preliminary conference, if the equitable distribution of assets is contested, the judge may appoint one or more experts to appraise the assets. Assets that commonly need to be appraised include real estate, business, pensions and licenses. At the preliminary conference, the judge will direct that discovery, which is the exchange of financial and other information, take place between the parties and will set deadlines. Depending upon the judge and the facts of the case, settlement discussions may take place at the preliminary conference. Even if a final settlement is not reached during the preliminary conference, the discussions may be useful toward resolving the differences between the parties. At the end of the preliminary conference, the judge will issue a PC order, which will include identification of the issues in the dispute and a timetable for the exchange of financial information. As mentioned, discovery is the exchange (usually after formal written requests) of financial records between the lawyers in the case. It can also involve some investigatory work when one party suspects that the other is not disclosing their financial information. Discovery also usually includes depositions, which are oral examinations under oath of each party and sometimes of third-party witnesses. Where there are real properties, businesses, professional practices or other tangible or intangible assets considered relevant to the marriage, professional evaluators are often retained, at the parties’ expenses, to do the necessary appraisals or valuations. In contested custody cases, a law guardian may also be appointed to represent the interests of the children in the lawsuit. Support and Parenting Access Schedules are arranged. At the beginning of litigation, there are usually issues related to the support of one spouse and/or children during the lawsuit. Expenses such as insurance, medical care, child care, school expenses, and the like also have to be addressed. Many matters such as abusive behavior or contested occupancy of the marital residences can become open issues. Sometimes these can be resolved through negotiation or via motions. Motions are applications made to the judge assigned to the case. They are resolved after the filing of papers or after oral argument and once a decision has been issued by the judge. If the parties are unable to settle their divorce, the next hearing in court is called the compliance conference. The purpose of the compliance is for the judge to determine whether the parties have complied with the PC order and review the unresolved issues. In addition, the judge will often discuss settlement with the attorneys. When the parties have completed their discovery and evaluations and if the case is not settled, it is set down for trial. Trial may take place before the judge assigned to the case or before a Special Referee to whom all or some of the contested financial issues may be assigned. Depending on the complexity of the open issues, a trial can take days or even weeks to complete. At Diron Rutty, we provide you with legal representation every step of the way for divorce-related family law matters such as property settlements, child custody, child support, visitation, spousal support, marital property division, and bankruptcy if necessary. Our goal is to help clients peaceably resolve potentially contentious issues. For legal assistance regarding divorce, legal separation, domestic abuse, modification or enforcement of support orders, contact our family lawyers to schedule a consultation at our Bronx or Manhattan offices 718-324-0404 or Poughkeepsie office 845-849-9201, use the form at the right, or email us at info@DironRuttyLLC.com.